The Rebel Sweetheart. : Best of Both Worlds | Korean Celebrities and Mixed Martial Arts. 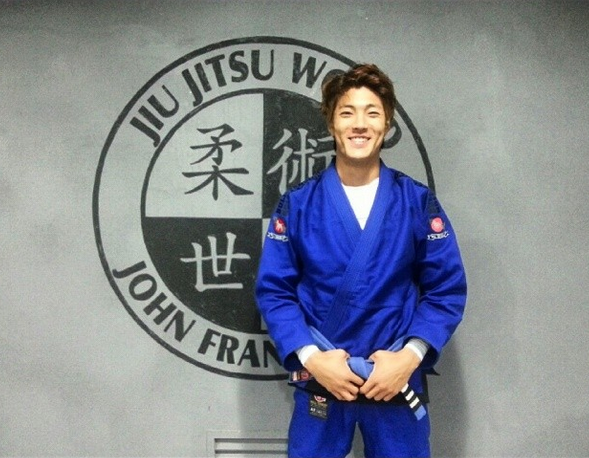 Best of Both Worlds | Korean Celebrities and Mixed Martial Arts. The long weekend is about to come to an end, but I'm still on a high from the action that was UFC Macao. Although I must say, I was rather disappointed that Dong Hyun Kim lost that way. I had high hopes that he would stun Tyrone Woodley the way he did with John Hathaway; unfortunately his grinding, relentless fighting style took the best of him. Next month, UFC will be bringing the action to Saitama, Japan, with three Korean mixed martial arts fighters included in the fight card. Kang Kyung Ho and Hyun Gyu Lim will be fighting against Japanese contenders in their respective Prelims matches, while Choo Sung Hoon (more popularly known as Yoshihiro Akiyama) will fight in the main card against Kyle Noke. You might not know this (unless you're a Kdrama/variety show fan), but Choo Sung Hoon is also a TV star in Korea. He currently appears in 'Superman is Back', a reality show where celebrity dads are left to care for their kids alone for 48 hours without the help of anyone. The star of Cinderella's Sister, Fashion 70's, and Glory Jane, Cheon Jung Myung has more than just acting awards to his name. 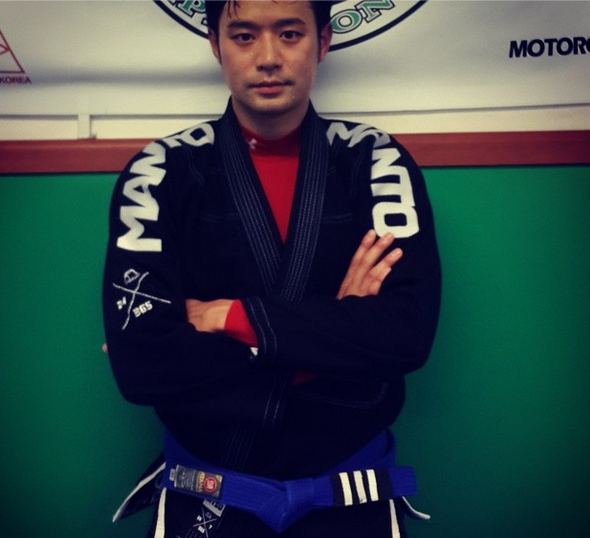 He also holds a purple belt in Brazilian Jiu Jitsu (BJJ), and trains under Professor John Frankl - the founder of BJJ in Korea. Photo credit: Cheon Jyung Mung. Photo credit: Lee Jae Yoon. In 2010, Lee Si Young took up boxing to prepare for her role as a female boxer in a TV drama. While the drama ended up getting scrapped, Lee fell in love with the sport and continued with her training. At present, Lee is a member of the Incheon City boxing team, and is the first and only Hallyu star to become a national team athlete for any sport in Korea. Lee Si Young at the National Amateur Boxing Championship. Popular for his stint in 'Gag Concert' and his segments 'Fitness Girl' and 'Health Show', Lee Seung Yoon is also a mixed martial arts fighter. He made his debut on Road FC (Korea's number one MMA organization) in October 2010, going up against a professional MMA fighter ten years his junior. 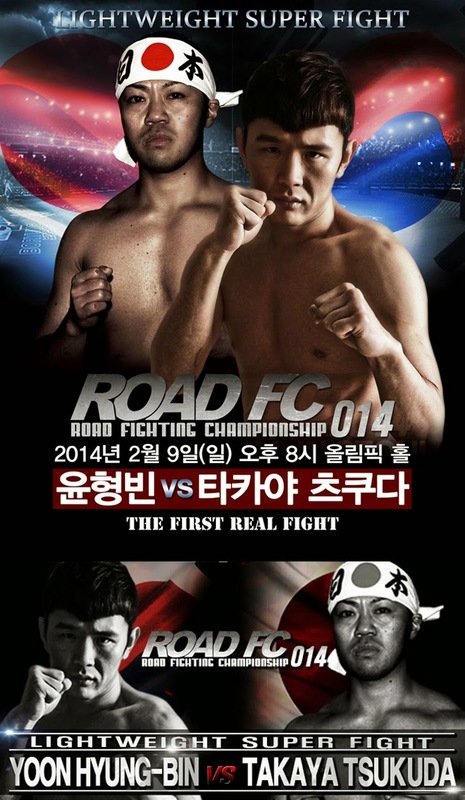 Also a Gag Concert alumni, Yoon Hyung Bin made his debut as a professional mixed martial arts fighter in Road FC earlier this year. He competed against Japanese fighter Takaya Tsukuda in the lightweight category, and earned the victory by knocking out his opponent in the first round. Wow UFC is something that I found to be so intense. :) And amazing how Choo Sung Hoon is joining in the fun! I am not one to be into sports to much. Superman is Back sounds like an awesome reality show to watch. Thanks for sharing. I am not a huge fan of wrestling or boxing so I feel out of the loop on these contenders. I hope it is a great event and you enjoy watching it. I enjoy watching MMA much more than boxing and glad to see other countries participating as well. The more, the more competition! very cool. my husband is a second degree black belt in tae kwon do and my daughter is a first degree. Love the story of how Lee Si Young started boxing.